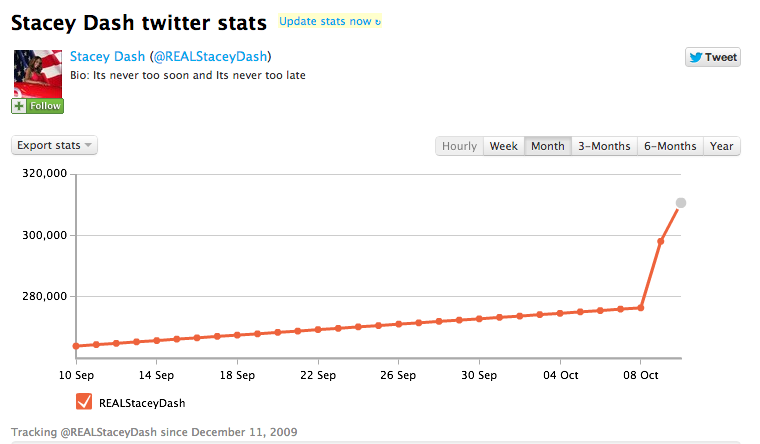 Despite controversy, Stacey Dash's following surges. said Sherrick W., who tweets as @SimplySher. She herself as a black woman in a different tweet. 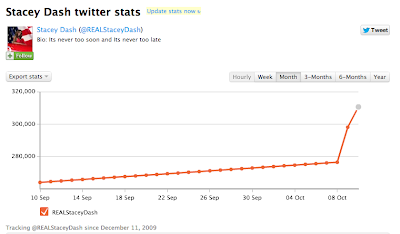 It would appear that users have been flocking to support Ms. Dash despite all the negativity. As of just now, she's got one more follower in me.